2pcs in one bag,100 bags in one carton. 1.This kind of ball is made of chemical fabric and imported natural rubber,nontoxic and environmental, no harm to human being. 2. This product is high abrasion resistance training ball, it is durable, belongs to Grade B. 3.Each ball shall be checked by our QC before they go out, so don’t worry about the rejects. 4. 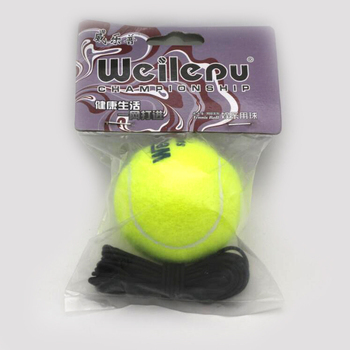 OEM service is available, such as printing your logo on ball, customize packing quantity and packing specifications. 5.Strictly stick to QB-T2770-2006 standards, making sure each ball is in accordance with the rules. 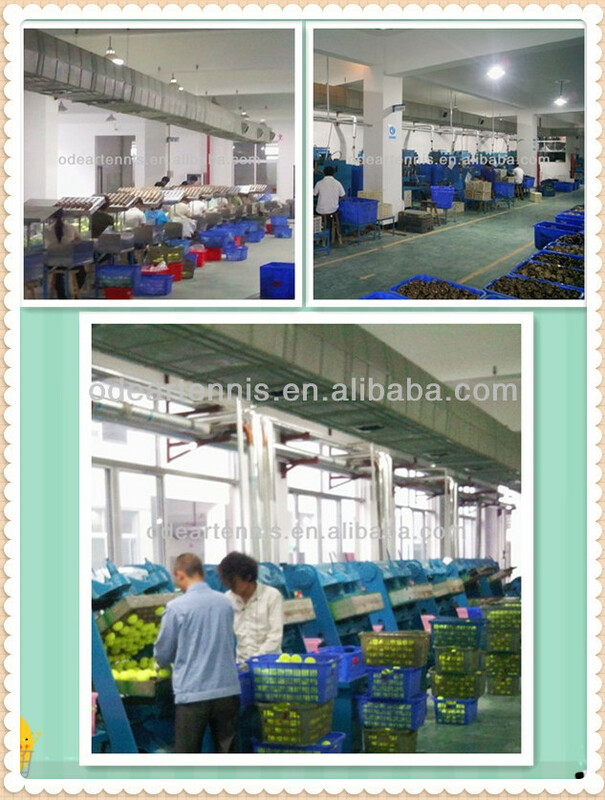 6.Our factory has been audited by SGS and BSIC,ensuring our factory is capable of producing tennis you want to order. Odear Sports Goods Co.,Ltd is a professional tennis ball manufacturer which has been working on it for more than 10 years. It is one of few Chinese tennis ball factories with strengthened R&D ability to make professional high grade tennis ball for competition and tournament which has passed the ITF test and get its certificates. Our company is aiming to promote and sell Odear brand tennis products in an all-round way.By holding the belief that premium quality can gains a good reputation,applying the advanced technology to achieve growth,satisfactory service to win the market share,we are ambitious to establish a world well-known sports goods brand . Introducing tennis manufacturing technology and management expertise,we also spare no effort to buy world-class QC testing equipments.All these measure improve our Odear brand ball quality to a large extent and make us stand out from our competitiors to be one of the best factory ,thus meet customer demands at all level. Two of our competition balls ,TZ1 AND TZ2 has passed ITF test with certificates.Also ,our factory has been verified by BSCI and SGS ,which greatly enhance customer trust.Last year,an wide range of equipments including renewing the facilities to reach international standard has been introduced ,thus ensuring its quality.More verification shall be made in the near future.Welcome to pay a visit to our factory in Beilu West Street ,Shankou Industrial Zone,DongYang or website www.Odear163.com.